Release the Craftin': Martinis, anyone? You may be sighing with relief that this isn't a Halloween post. Now that November is upon us, I am thinking about Thanksgiving and hosting the gang over for a Turkey Day shebang. In the spirit of hosting, I thought I would share a project that I made for a Craftster swap last year -- I didn't want to give this one up. 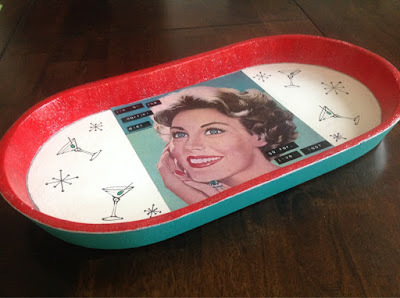 The swap theme was 1950's housewives, so I thought a cocktail tray would be appropriate. Everything about this tickles me. The red and the turquoise, the atomic stamps, the spacey look in her eyes. The text says, "I'm on the martini diet. So far I've lost two days." 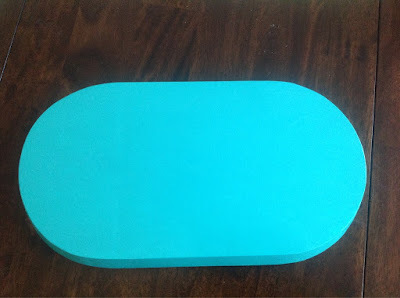 Here's a look at the contrast -- the red paint on top has a bit of sparkle in it, and the bottom is done in turquoise acrylic paint. 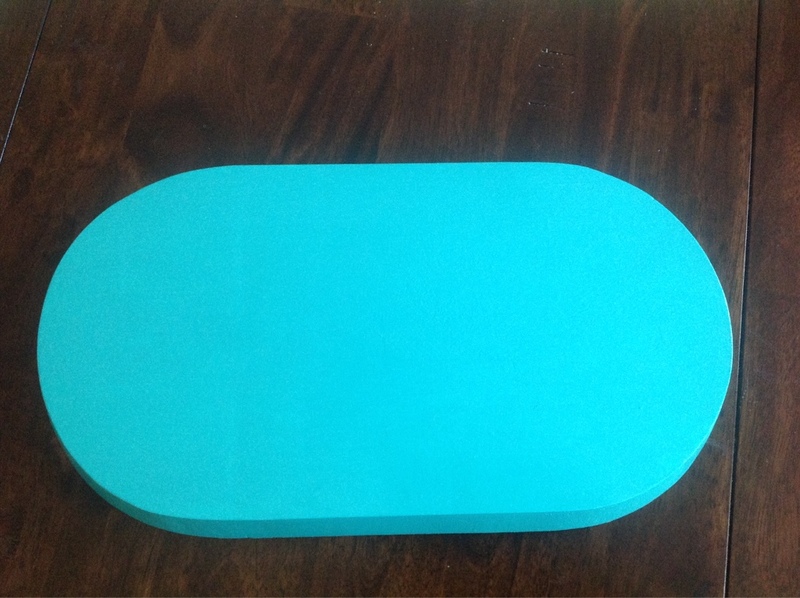 I sealed it all with a fixative spray at the end. This is one of those projects that I would love to make again for myself! 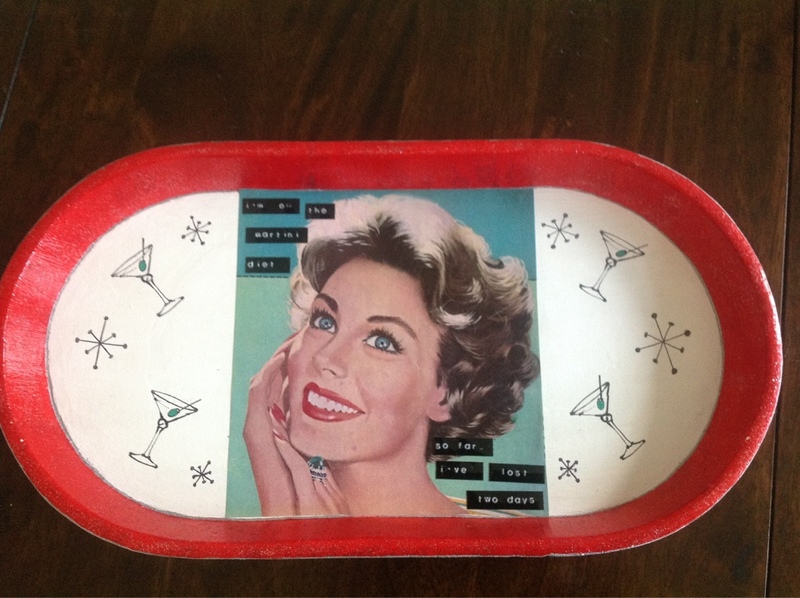 The tray was a nice light weight size, perfect for serving up a martini or two. Or twelve.